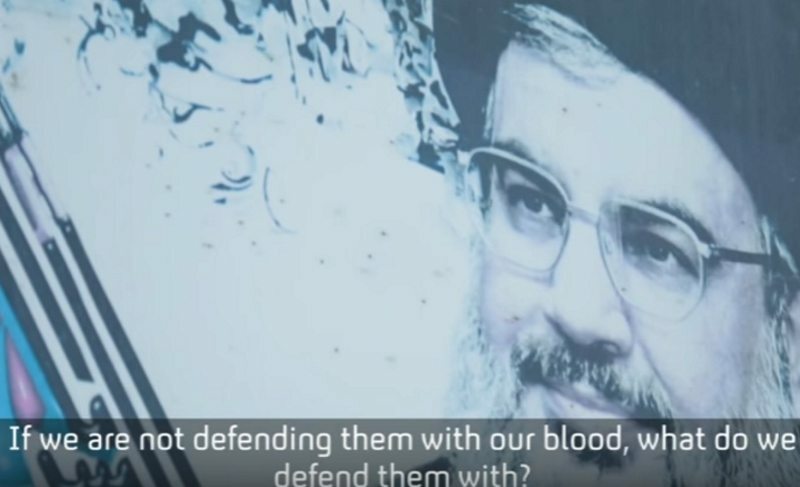 Iran continues to strengthen Hezbollah and the Palestinian terrorists for possible conflict with Israel and while most of the focus is on the terrorist group’s intervention in Syria or its threat to Israel, the Iranian-backed organization maintains a significant presence in and near the United States and poses a serious threat. Current American proposals to strengthen borders and immigration measures may be limited to address this important, yet poorly understood, threat, Investigative Report on Terrorism (IPT) has reported. A recent Al-Arabiya article examines Hezbollah’s North American threat. It has the expertise to build advanced tunnels on the southern U.S. border, enabling Hizballah terrorists and Mexican cartel operatives to infiltrate the United States. Relations between Iranian-backed proxies, including Hizballah, and Latin American drug cartels are well established. Mexican gang members learn from Hizballah’s combat experience and use of advanced weaponry. Hizballah, in turn, derives a significant portion of its finances from the drug trade and other illicit activities. In recent years, security officials in southwestern states noticed a rise in tattoos featuring Hizballah’s insignia among imprisoned drug cartel operatives. This surprising trend indicates a strengthened relationship between the terrorist group and Mexican gang members. In line with its foreign policy, Iranian operatives infiltrating Latin America seek to convert individuals to adopt its extremist Shi’ite ideology. Over the years, pro Iranian websites have proliferated across Latin America, in an attempt to cultivate support for the Islamic Republic. Powerful Latin American politicians also help Iran and Hizballah penetrate the region and threaten the United States. In February, CNN received a 2013 secret intelligence document from several Latin American countries demonstrating ties between Venezuelan Vice President Tarreck El Aissami and 173 Venezuelan identification cards and passports issued to people from the Middle East, including Hizballah operatives. El Aissami “took charge of issuing, granting visas and nationalizing citizens from different countries, especially Syrians, Lebanese, Jordanians, Iranians, and Iraqis,” the report shows. Iranian and Hizballah operatives have cultivated and consolidated operating bases in South America, especially in the tri-border area (TBA) of Argentina, Brazil and Paraguay. With a large Muslim population featuring significant numbers of Hizballah sympathizers, the region is ripe for recruitment, arms smuggling and drug trafficking. Hizballah continues to exploit other Lebanese Shi’ite diaspora communities, including in the United States, to strengthen its presence worldwide. In 2011, the United States disrupted a plot led by the Iranian Revolutionary Guard Corps (IRGC) in cooperation with a Mexican drug cartel to assassinate Saudi Arabia’s ambassador to Washington. CLICK TO READ MORE FROM THE INVESTIGATIVE REPORT ON TERRORISM.